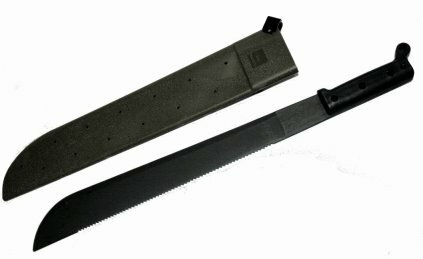 This genuine Government Issue item sets the standard for hard working machetes. 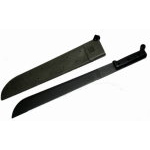 Its 1095 Carbon steel blade is .125" thick, features a full tang for strength and a black oxide anti-reflective finish. 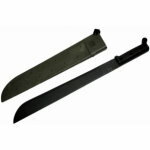 The 18" blade gives this machete an overall length of 23¼". 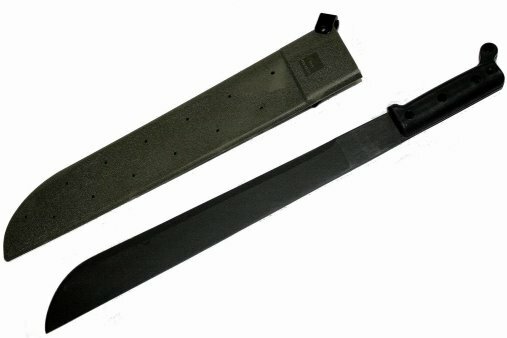 High Impact shatterproof polymer handles are secured by steel compression rivets and a tough Olive plastic sheath is provided with a belt clip and built in sharpener.